Here’s the latest of what’s been going on in Aurelia. We’re not even halfway through and already it seems people are at each other’s throats. Perhaps most importantly, Horatio Moncrethe may have discovered a new source of power for Aurelia. But is it too good to be true? Hot off the press this time, we’ve got another highlight reel for you. To call this week anything but exciting would be foolish. Kidnapping! Fighting! Intrigue! Jailbreak! What more could you ask for? This has been up for a little while now, but if you missed it we’ve got the latest highlight reel of what went on during Week 2 of Aurelia. Feeling a little behind after missing a week? Here’s a great way of catching up. New businesses, explosions, and death, oh my! The first official week of the show went by fast. 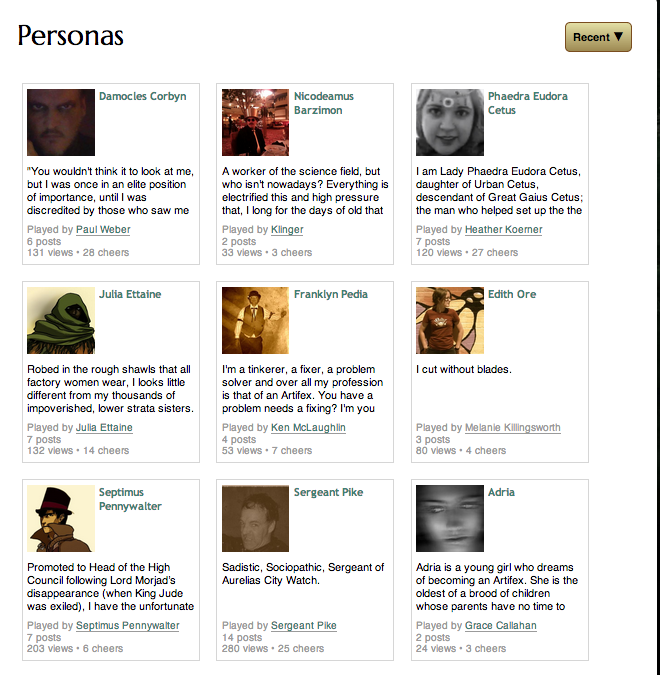 Between a boiler explosion, cryptic riddles, and unlikely collaborations, the citizens of Aurelia sure have been busy! Catch up on anything you missed with these quick performance highlights. Did you make the cut?